Chart No. 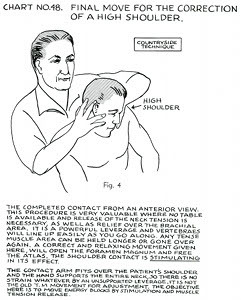 48 - A Final Move for the Correction of a High Shoulder. The completed contact from an anterior view. This procedure is very valuable where no table is available and release of the neck tension is necessary, as well as relief over the brachial area. It is a powerful leverage and vertebraes [vertebrae] will line up easily as you go along. Any tense muscle area can be held longer or gone over again. 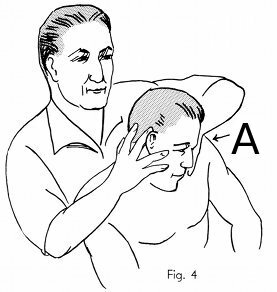 A correct and relaxing movement given here, will open the foramen magnum and free the atlas. 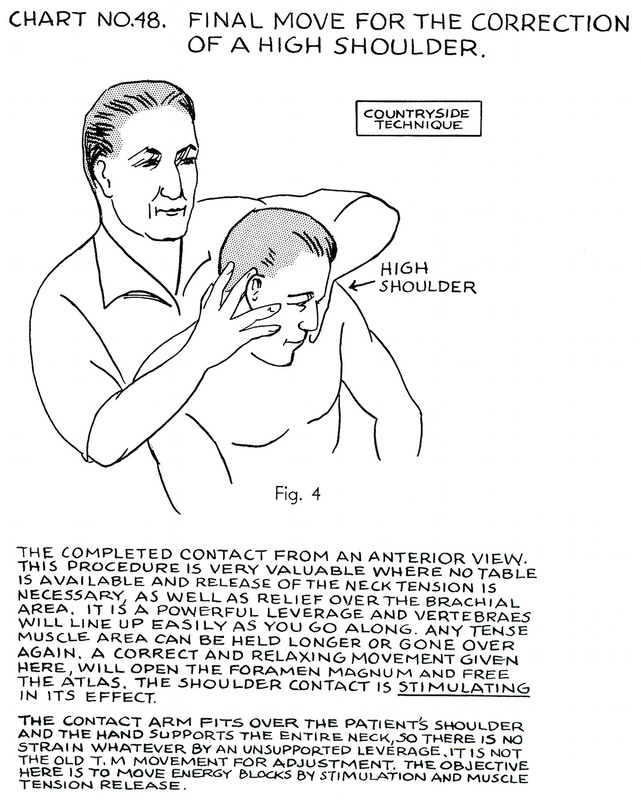 The shoulder contact is stimulating in its effect. The contact arm fits over the patient's shoulder and the hand supports the entire neck, so there is no strain whatever by an unsupported leverage. It is not the old T.M [temporomandibular?] movement for adjustment. The objective here is to move energy blocks by stimulation and muscle tension release.